Humor abounds in this bubbly, high-spirited one-act version of the classic fairy tale. 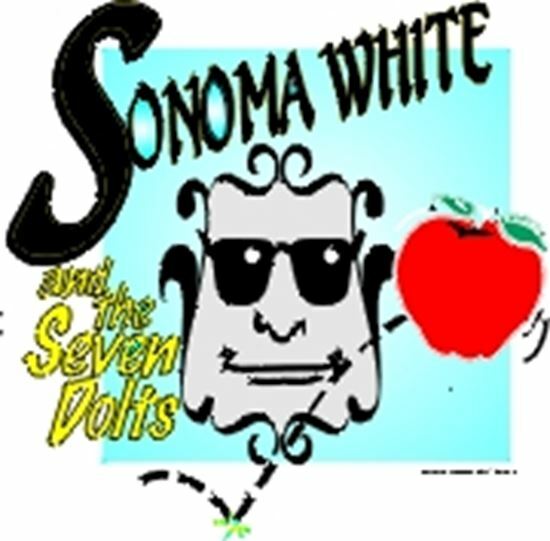 Meet Sonoma White (Snow's cousin), the seven dolts (no relation to the dwarves), a wicked queen who still isn't the most beautiful (even with 49 face-lifts), and an aging magic mirror which is hard of hearing. After the wicked queen bops Sonoma on the head with a MacIntosh (that's apple, not computer), Sonoma is rescued by the dolts, Sloppy, Crabby, Silly, Sneaky, Wimpy, Smelly, and Spam. Even though Sonoma is one of those irritatingly upbeat people, the dolts soon fall in love with her. When the wicked queen finds out Sonoma is not dead, the dolts rush to the rescue!